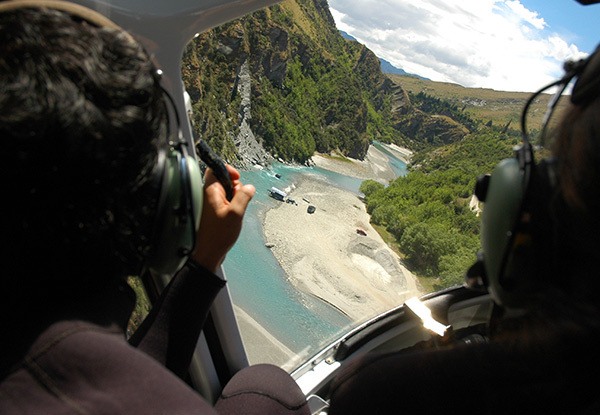 Navigate crazy-fun rapids and soar around the southern alps in a helicopter.. there are worse ways to spend your holiday. It's a bird, it's a plane, no, its you and your mates flying over Skippers Canyon in a heli! That’s right jump in a helicopter on Coronet Peak and fly through the canyon, right above the river you are about to raft. 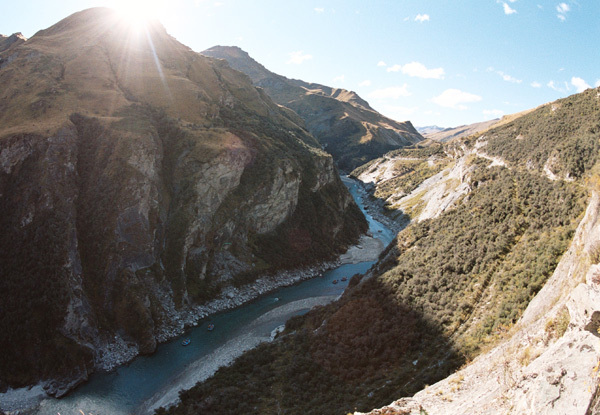 After your time in the sky, you will get on the water and hunt the biggest rapids on the Shotover River with legendary raft guides from all around the world. 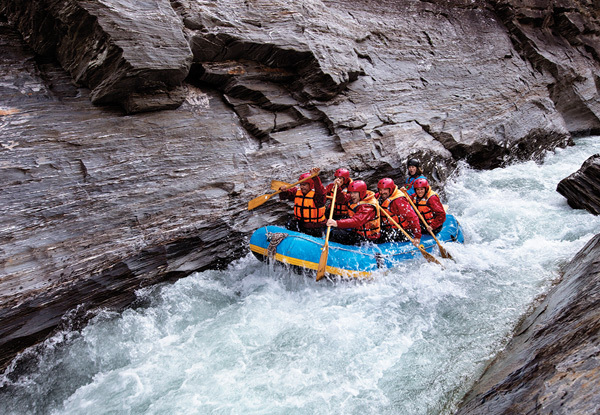 Gut wrenching drops in your stomach, pumping white water and thrills to last a lifetime await you and your crew. End the day arriving back at base for a nice hot shower. 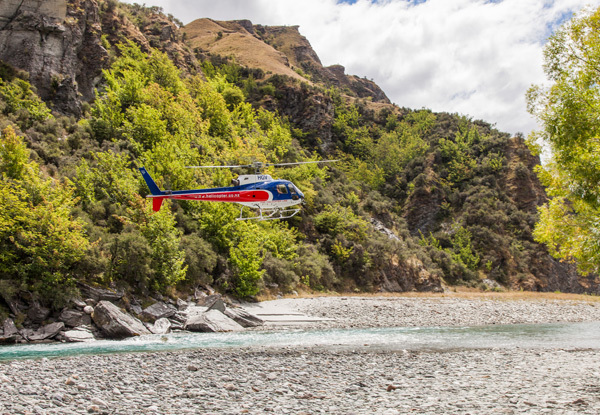 Grab a 4.5-hour helicopter ride and shotover white water rafting experience from Go Orange Rafting. Departure point is Go Orange Shop, 35 Shotover Street, Queenstown. 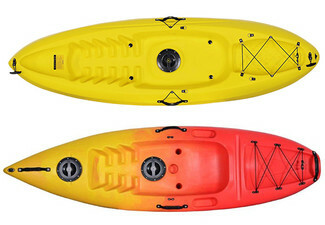 Wetsuit, wetsuit jacket, spray jacket, paddle, helmet, wetsuit booties life jacket, transport, rafts, experienced guides and a guaranteed epic time on the water and in the air. 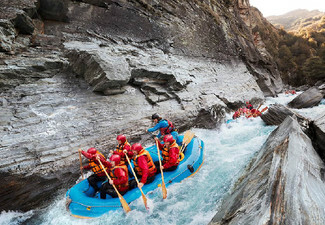 Leaders in adventure tourism, challenging you to go beyond. 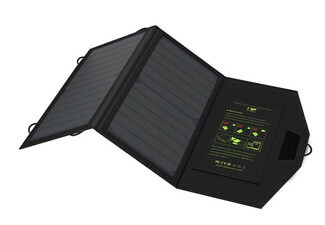 Ultimately encapsulating a vision to encourage travellers to leave each experience with unforgettable memories. From Go Orange's guides to the travellers they are always seeking the onward journey. 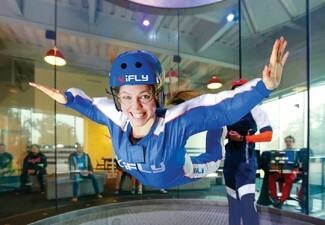 Turning a tourism-based activity into a rip roaring, crowd adorning adventure. Bookings essential via email to reservations@goorange.co.nz at least 48 hours in advance. Subject to availability and weather conditions. 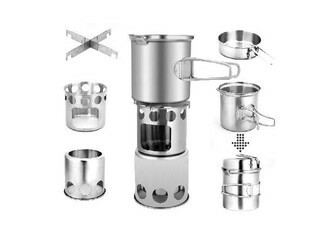 Valid for the option purchased only. 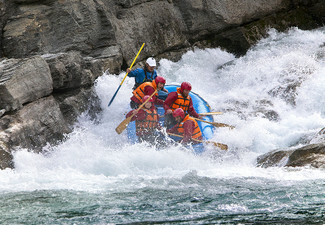 Rafting requires a minimum of 8 people to operate. Helicopter transfer requires a minimum of 4 people to confirm departure. Departure times: 21st March - 12th May 8.00am & 1.00pm; 13th May - 31st August 1.00pm ONLY. Departure point is Go Orange Shop, 35 Shotover Street, Queenstown. please be there 20 minutes before departure. Please check departure times when booking as they are seasonal and change. 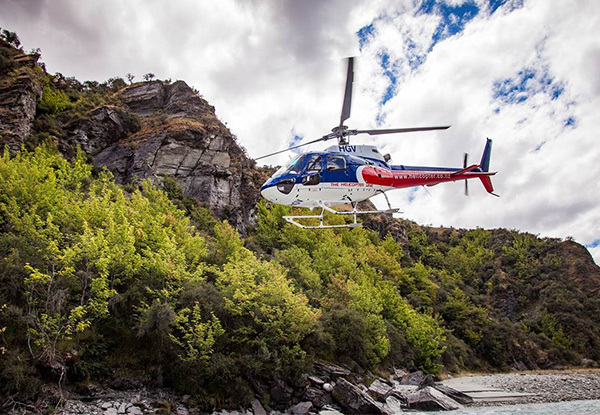 Includes: Transfer from downtown Queenstown to Rafting Base, Extensive safety briefing, Full wetsuit, rafting clothing & safety equipment, Helicopter scenic seven-minute transfer to rafting put-in, Rafting on the Shotover River, Hot showers, Return travel to downtown Queenstown. Excludes: personal swimsuit, towel, snacks. Minimum of eight people to confirm the trip. Go Orange will co-ordinate numbers for each rafting trip. 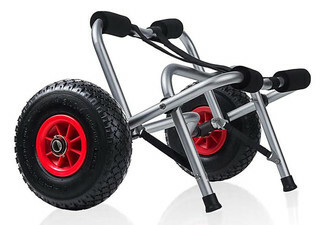 Minimum age is 13 years. Guardian conditions apply to all under 18-year-olds. 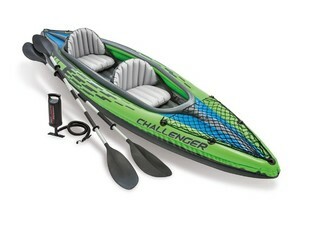 Weight Limit: minimum weight is 40 kg (88 lbs).. Must be water confident. You will need a Swimsuit and Towel, money for snacks and photos. Not valid No refunds unless required by law. No cashback. Not to be used with any other offer.